From Idli Podi To Porridge: This Mother-Daughter Duo Make Podis Just Like At Grandma's! Ditch the food delivery apps and switch to these healthy podis made with a lot of love by this mother-daughter duo, Swarna-Swathi, under the label, Trupti. Oh, and they almost took us on a nostalgic journey to our grandma's. Ordering food online has become a culture. People are always in a hurry and fast food seems to be the answer to it all. If you are looking for a refreshing change, look no further than, Trupti, a small venture started by a mother-daughter duo, Swarna-Swathi. 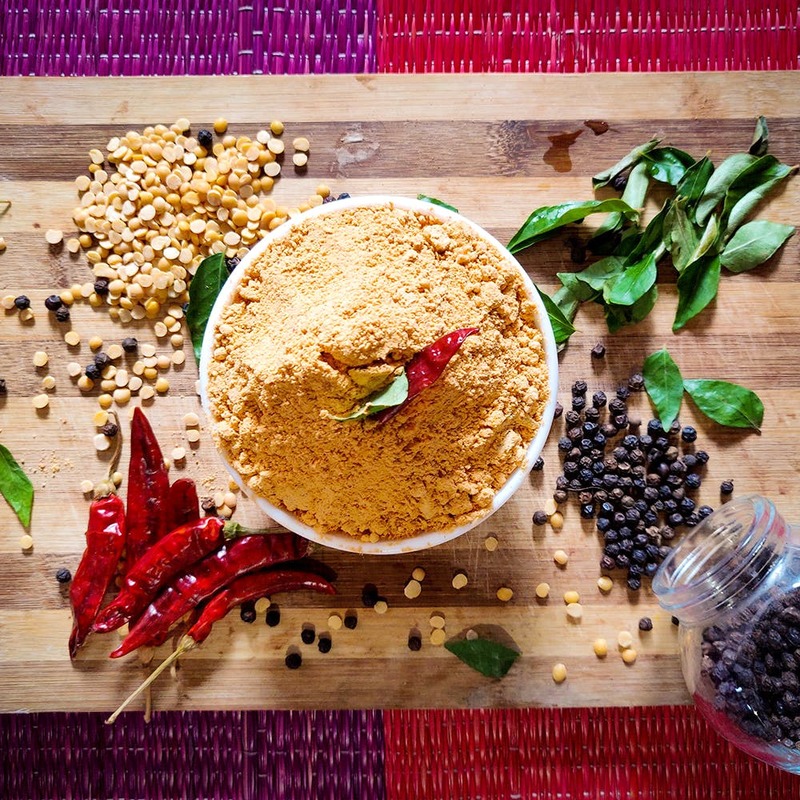 The duo offers five different kinds of podis - sambar podi, idli podi, kanji maavu (porridge powder), dal powder (paruppu podi), and kollu (horse gram) powder. Swarna has been making these podis for several years now. The people who benefitted out of this were her friends. That's when the duo thought of making it big and Trupti was born. The best part about the podis is that they are all recipes that Swarna inherited from her grandmother. Most of the clients come back feeling nostalgic after having the podis. The one thing that Swathi and her mother are promoting is their porridge powder. And rightfully so. The health mix has healthy ingredients like kambu, bajra, pearl millet, kezhveragu, ragi, and finger millets. Have this protein-rich food on a daily basis for maximum health benefits. Idli podi for 250 grams costs INR 90. The duo takes two days to prepare the podi and to get it delivered.